Sitting in the centre of Adelaide’s education precinct is Torren University’s Wakefield Street campus. The custom-built campus was created with one purpose – to offer students an exceptional learning experience. The Wakefield Street campus is positioned in the historic Menz Biscuit Factory and offers students a stimulating, creative and dynamic learning environment. 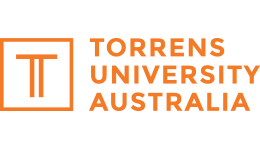 The Torrens campus offers students dedicated study areas, break out zones and easy access to premium learning facilities.